Want to try playing your favorite songs but can't find the chords online? You need Fender Riffstation Pro, which was priced at US$35 (about £25, AU$45) but is now available to download free for Windows and Mac. Riffstation Pro supports all the most popular audio formats, including MP3, WMA and FLAC. If you want the chords for a song used in a YouTube video you'll need to convert it to MP3 first. You'll be prompted to enter a name and email address to download Riffstation Pro, but you can enter a dummy address to avoid surrendering your data. Once you've loaded a track, the software will take a moment to analyze the chords, then display them synced with the music. The results aren't always perfect, but are usually accurate. 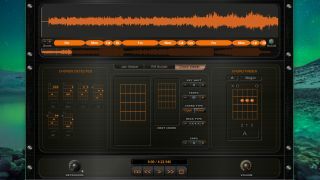 Riffstation Pro also offers various creative tools, including the ability to adjust the tempo and pitch, and isolate certain frequencies (to remove vocals, for example). The Riff Builder lets you rearrange the beats and chords in a song, and the Chord Viewer will show you how to play each chord yourself. Fender is currently working with record labels and producers to introduce a new premium version of the software, so download Riffstation Pro for free while you can.